Preheat your cooker to 350ºF, set up for indirect grilling. Trim the breasts and cut into 1” cubes. Mix the Kosmos Q Dirty Bird Rub and brown sugar well. Toss the chicken in the rub mixture. Wrap a half slice of bacon around each cube of chicken and secure the bacon with a toothpick. 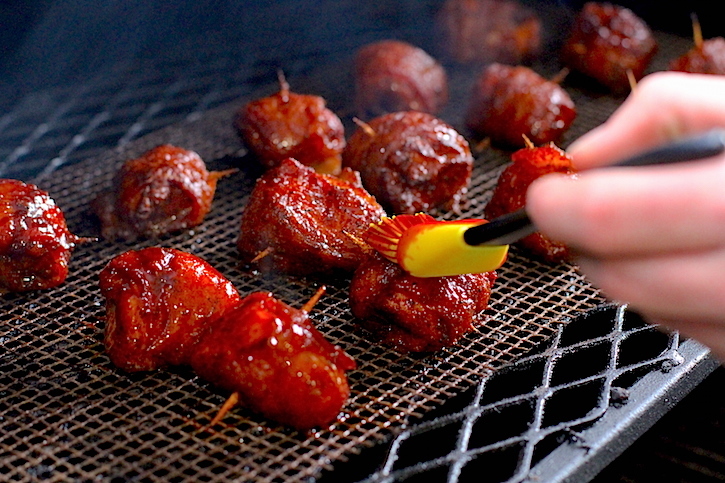 Toss the bacon wrapped cubes in the rub mixture once again, just a few minutes before grilling. 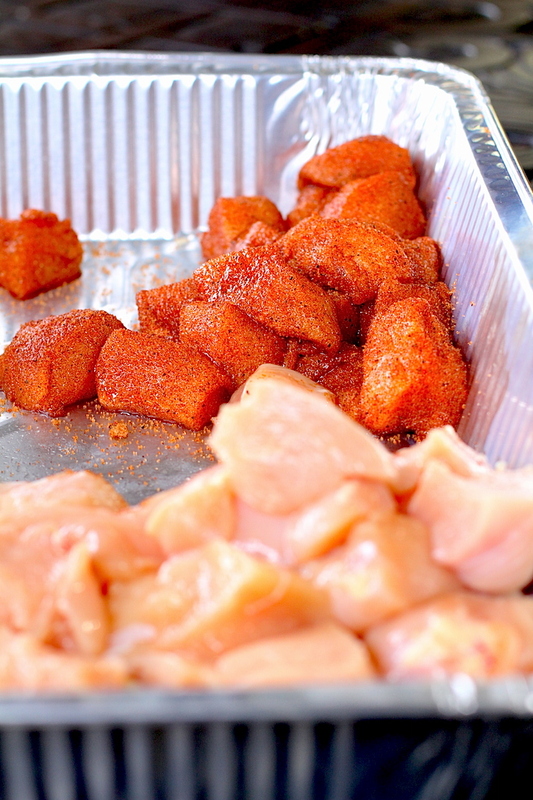 Grill the chicken bites over indirect heat until the internal temperature reaches 160ºF. Check the internal temperature with a digital thermometer. Brush the bites with House of Q Sugar & Spice BBQ Sauce and continue cooking until the internal temperature reaches 165ºF. The name says it all! Well, almost. The name doesn’t mention how incredibly easy these are to prepare. It doesn’t matter if you’re tailgating or throwing a holiday party, this appetizer is perfect for the occasion.